Eighth grader Marion Healey, center, rehearses a scene for a musical review Thursday with Eighth grader Kate Bevins, left, and ninth grader Sadie Cook at O'Maley Middle School in Gloucester. 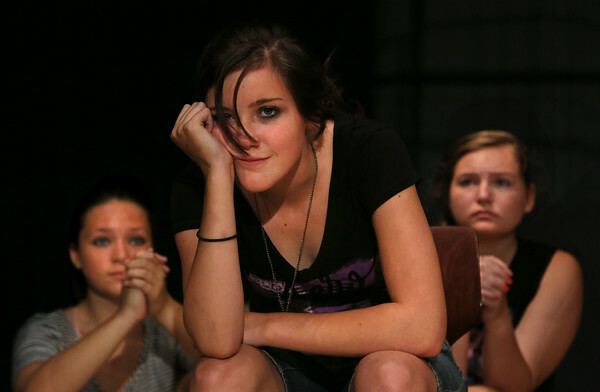 Over 100 students from eighth grade to high school are taking part in the musical, the closing act of this year's O'Maley Musical Theatre Summer Camp. The one-hour production, featuring 25 songs from various musicals, will be performed free for the public today at 12 p.m. in the O'Maley theater.